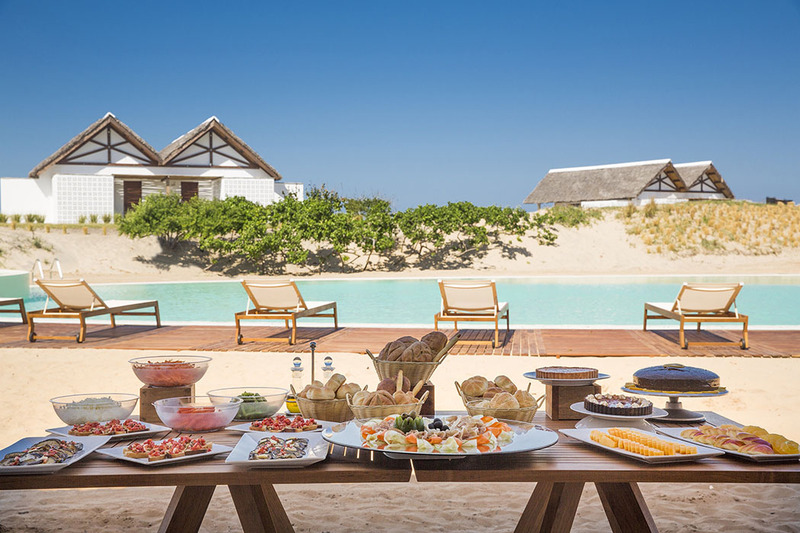 Diamonds Mequfi Beach Resort is set on the most beautiful and immense beach in the sandy dunes of rural Mozambique. Imagine a massive beach leading down to a huge blue ocean, above is a clear blue sky that goes on and on. This modern 5 star resort feels both remote and elite. Here you are blessed with luxury accomodation but what really sets this resort apart is its location with never ending vistas in all directions. 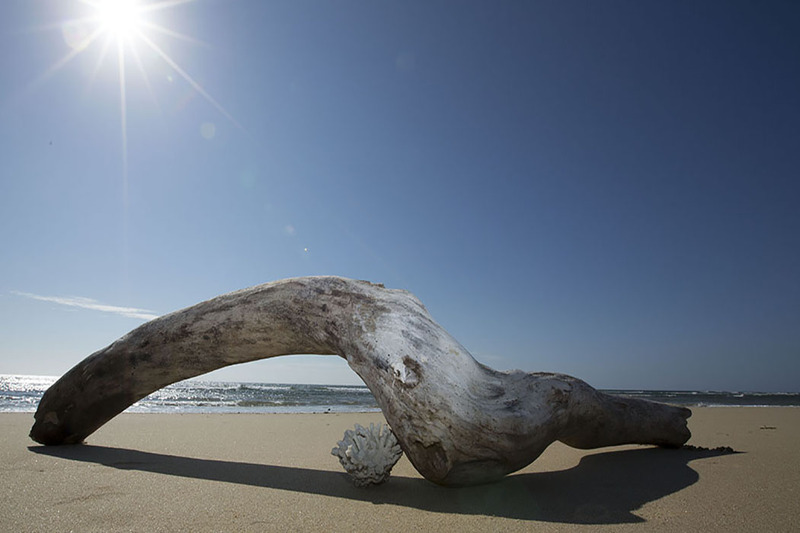 Discover Mozambique’s unspoilt natural beauty. This new up-and-coming destination is absolutely worth considering in your travel plans thanks to its unexplored natural parks and breathtaking beaches. 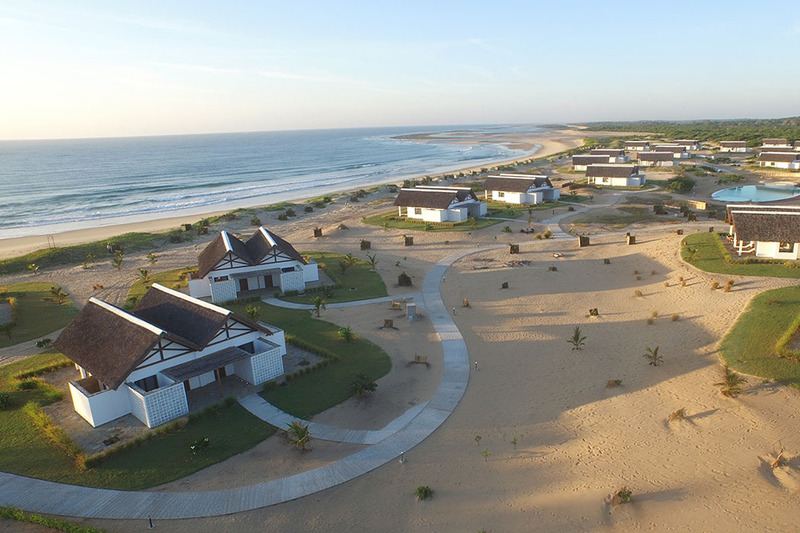 Diamonds Mequfi Beach Resort is based in one of the most unspoilt corners of the country and grants its guests the maximum privacy, relaxation but also, for the more adventurous, spectacular and moving excursions. Situated on the southern Peninsular of Pemba, close to the Quirimbas National Park, Diamonds Mequfi Beach, is a luxury 5 star Resort built on the sandy dunes of the stunning Mecufi Bay. 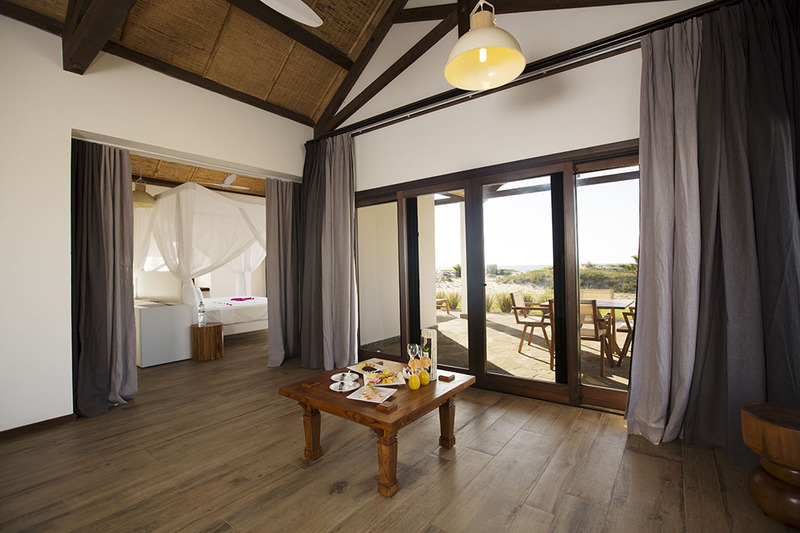 The Resort lies at about one hour drive from the international airport of Pemba which is connected to South Africa, Kenya and Tanzania with 3 to 4 flights a week and daily flights to the capital city of Maputo. 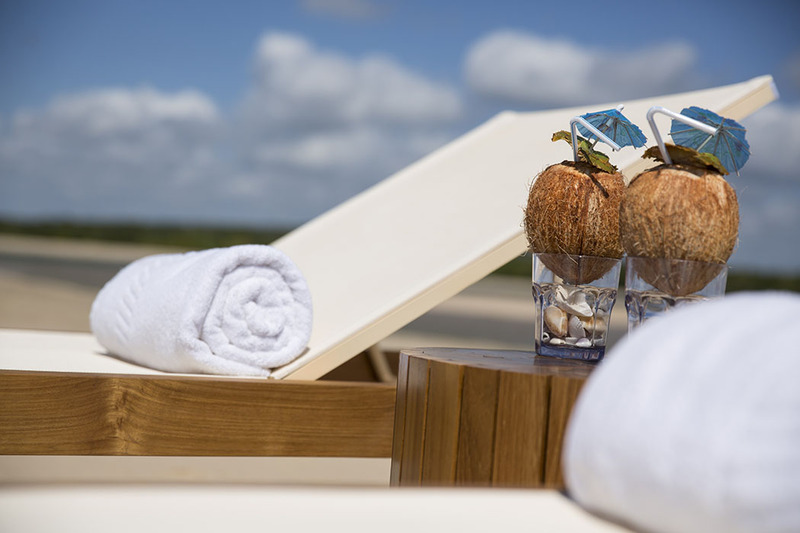 Diamonds Mequfi Beach is a one hour drive from Pemba airport. A transfer service to and from the resort and airport is available. Mozambique, a former Portuguese colony which gained independence in 1975, is now a state of East Africa with a population of around 25.2 million residents. The capital is Maputo and the state borders to the north with Tanzania, Malawi and Zambia; to the east with the Mozambique Channel which divides it from Madagascar; to the south with South Africa; to the west with Zimbabwe and Swaziland. Mozambique is considered a developing country which is emerging as an exclusive and exceptional destination for its unspoilt landscapes. From the second half of the nineties, Mozambique moved to establish protected areas, creating national parks and nature reserves. The wildlife in this area is very diverse, notable examples being the Old World monkeys and certain lemurs, but also lions, leopards and jackals. There is no shortage of elephants, rhinoceros, zebras, buffalo and antelopes of various species such as wildebeest, antelopes and giraffes. For nature and animal lovers this is an exceedingly rich destination, yet you will also find friendly and welcoming locals and enchanting beaches, colonial towns and hut villages, baobab and mangrove forests and unspoilt archipelagos. Ngorongosa Park is considered one of the most important safari destinations and offers spectacular scenes of the diverse eco-systems represented in the park: huge plains interrupted by patches of acacia trees, expanses of savanna, forests and season water basins. Inside the park it is possible to observe a thriving wildlife composed of herbivores, carnivores and birds. Depending on the time of year it is possible to choose different activities through which to discover the park’s beauty based on the weather conditions: the months between July and September are the best for photographic safaris whilst in the wet season, when the plains are flooded and inaccessible, the park can be explored by canoe or mekoro log boats. In the park it is common to spot herds of elephants and buffalo, wildebeest, kudu, hartebeest, zebras, impala, monkeys and baboons. If you wish to see hippopotamuses and crocodiles, simply head for the shores of Lake Urema. The park also offers excellent bird-watching possibilities. It is possible to plan a fully tailored journey with the park’s guides to make your experience of Mozambique even more rare and unique. The Quirimbas National Park extends along the north-east coast of Mozambique and covers 750,639 hectares of coastal and mangrove forests, thriving coral reefs and a rich marine life including sea turtles, dugongs and hundreds of species of fish. The park was founded in 2002 to protect the region’s natural resources. 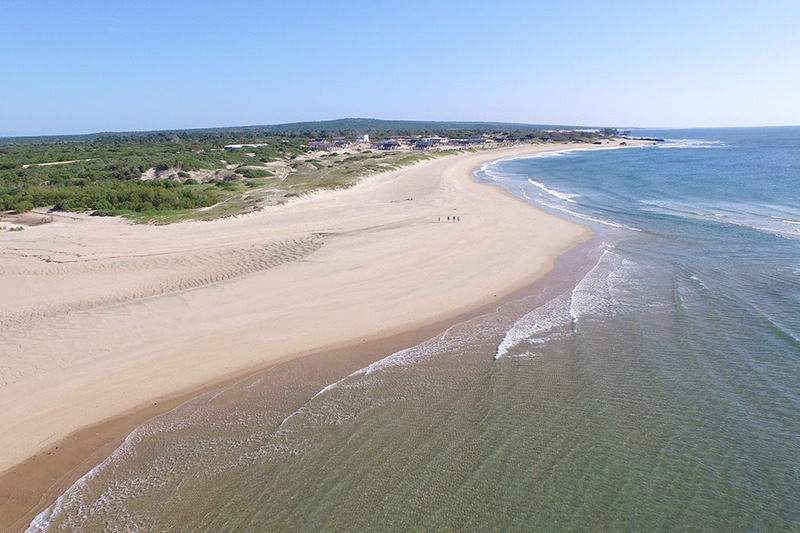 Mozambique has a coastline extending for 2,500 km, composed of the coasts lapped by the warm currents of the Indian Ocean, well-preserved coral reefs, mangroves and a niche tourism industry which makes this destination one of the most exclusive in the Indian Ocean. 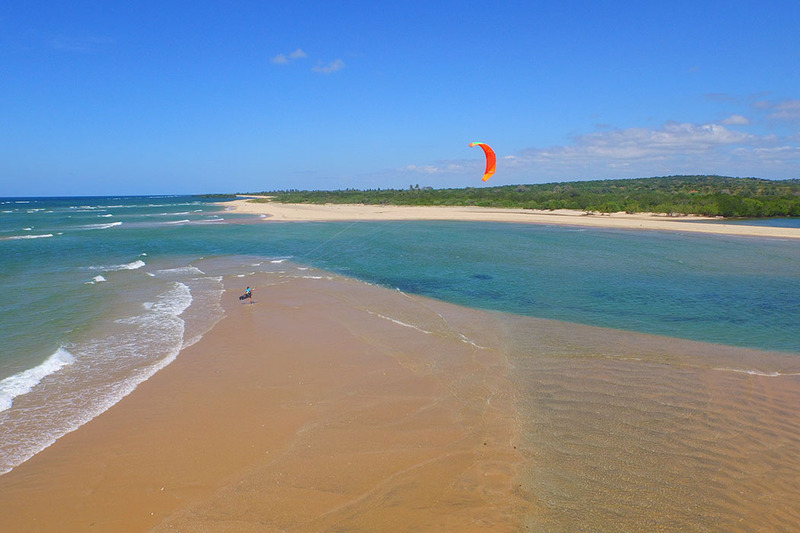 Mozambique is home to some of Africa’s most beautiful beaches. 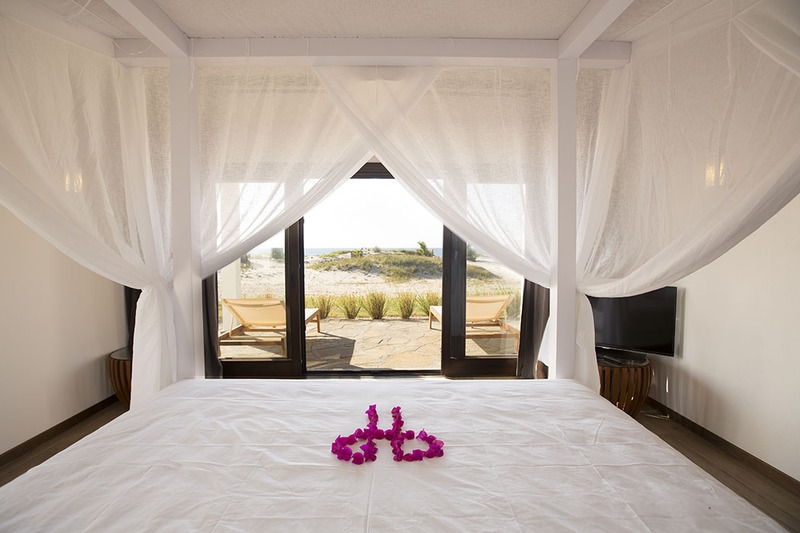 Bungalows, rooms and suites are all tastefully decorated by incorporating local materials and modern designs. They feature four poster beds or twin beds with mosquito nets as well as a comfortable sofa bed, a desk, air conditioning and a flat screen TV with satellite channels. The Assinatura Restaurant is set on an elevated deck, with a spectacular view on the stunning swimming pool and the entire resort. It serves a sumptuous daily American breakfast buffet plus à la carte lunch and dinner offering international dishes and local specialties. Sea You Restaurant is open for dinner serves sea food fusion menu in a refined and peaceful ambience. Bela Baia Bar is located near the swimming pool serves refreshing drinks, cocktails, wine and beer throughout the day and into the night. The Spa offers a balanced oasis to calm the body and senses with pampering by the skilful hands of our experts at the wellness centre. Capturing the beauty and magic of the African environment, Mvua African Rain Spa offers at the guests of Diamonds Mequfi colours and images of the African landscape in a relaxing and welcoming environment which invites them to savour a unique and precious experience. The treatments are based on ancient African, Asian and European traditions with the single aim of reinvigorating body and soul and enlightening the mind. After visiting the warm and welcoming atmosphere of Mvua African Rain Spa you will feel that this experience should never end, and you will return time and time again. Whale watching is something very special that you can experience at Diamonds Mequfi Beach Resort. The best months for spotting migrating whales are August and September. They cut through the waters by the shore in the winter period (European summer). A passport with an expiry date in excess of six months is required. It is very important that your passport has at least two empty white pages. An entrance Visa must be applied for before departure. If you wish to visit nearby countries before returning back to Mozambique, apply directly to the Mozambique Embassy for a multiple entry visa. 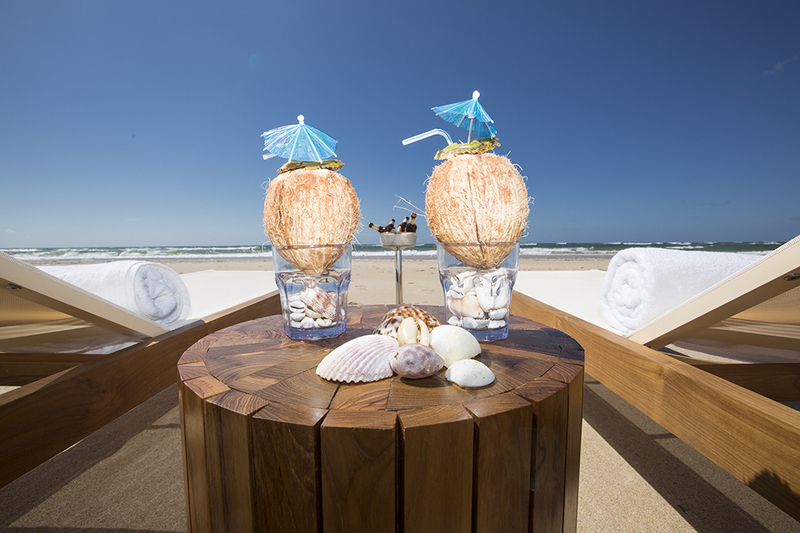 Diamonds Mequfi Beach Resort is the perfect choice to unwind in style after a safari journey in the great African outdoors, and to discover the untouched beauty of the Mozambican nature unexplored ocean and open beaches.